1. If the top most people are not aware of the system, then there are high chances that the system may fail to provide good results. Hence it is very much important that the top management should be trained up with the tools, terms and various techniques of Six Sigma. 2. The managers of the particular departments are responsible for that particular department and hence they should be also trained up and they should work as Six Sigma Champions. 3. The planning and ideologies of the Six Sigma has to be included with the planning of the organization. It is important to prepare a plan for the next year where Six Sigma is implemented in all the operations of the departments. 4. A correct and certified consultant should be hired to provide training to the individuals of the organizations. There are a number of consultants available but a correct one should be hired to achieve better results. 5. It should be seen that the results of the investments done has to be 20 times. This proves that the system actually was implemented properly. 6. As it is important to train the top management people, similarly it is equally important to train up the lower level staffs. Training from the top to bottom will provide a proper implementation of the system. 7. To ensure proper training to each and every staff of the organization, a certification process for all the staffs can be started. 8. Proper mentors should be there who can mentor and provide guidance to the new candidates in the process. 9. 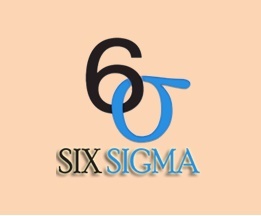 Six Sigma helps the organization in achieving better results with lesser investment. Hence, after the system has been implemented in the operations of the organization it is important that the finance should be checked at each interval. 10. The process of Six Sigma should not be confused with the quality management jobs. These tips and techniques if followed properly with properly designation of the different belts of the process, then surely a good return of the organization is confirmed. Skillogic is one of the top training institute for Six Sigma Training in Bangalore and Chennai, If you are looking for classroom training then visit Skillogic.